The $17.5 million incentive package for Amazon’s “Operations Center of Excellence” received approval from the Metro Council Tuesday night by a vote of 30-3 following roughly two hours of debate. Among the amendments passed include capping the incentive payout to the projected 5,000 jobs, and a long-shot request that the Convention Center Authority pay for it. SmileDirect, a company specializing in teledentistry, also announced that it would be adding 2,000 jobs to their Nashville operations and will also receive state incentives through the Fast Track grant program. 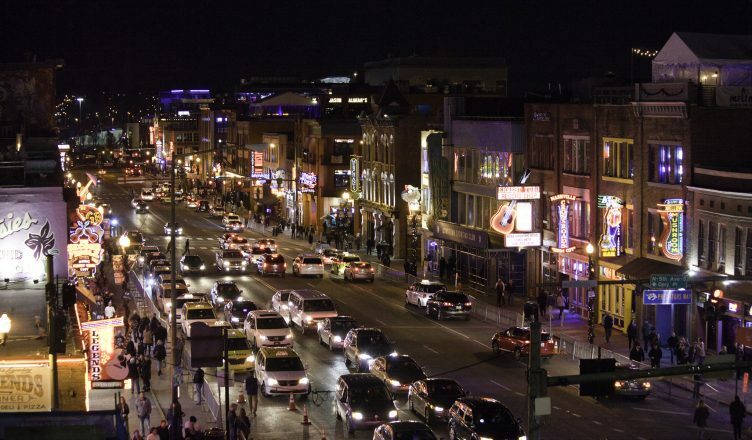 The Metro Nashville Police Department has arrested a man they say is responsible for dragging an officer down Broadway as more than 100 ATVs and dirt-bikes took over city streets last weekend. Earlier in the week MNPD leadership discussed ways to address the issue. Retired Vanderbilt professor and more recently third-place mayoral candidate Carol Swain has decided to make another go of it this August, joining incumbent Mayor David Briley and State Representative John Ray Clemons in the race. A patient at Vanderbilt University Medical Center alleges in a $25 million lawsuit that the hospital performed an operation on the wrong kidney, and that she now needs dialysis for life. VUMC has declined to comment on the litigation. Ryman Auditorium could soon have an outdoor stage for performances if a plan presented to the Historic Zoning Commission is approved. It would follow major renovations to the 4th Avenue side of the building in 2015. The Tennessee State Fair is officially looking for a new permanent home after a vote by the Fair Board cited the MLS stadium as limiting the ability for the annual event to operate. It had been at Fairgrounds Nashville since 1906. Mayor Briley announced Monday that new budget will include a three percent cost of living adjustment that was originally planned for last year but scrapped after the city found itself with a significant budget shortfall. Nearby, another plans to add a moonshine distillery and beer garden in SoBro, so that should make for some interesting people watching. Delishia Porterfield has won a seat on the Metro Council for District 29 in the Antioch area by only 25 votes in a run-off election against Nick La Mattina. The seat had been held by Karen Johnson, who was elected Register of Deeds last year. The Nashville Predators (42-27-5) won their third game in a row Tuesday night, knocking off the Toronto Maple Leafs (44-25-4) 3-0 and sweeping the series without a goal scored against. The Preds host the Pittsburgh Penguins (39-24-11) tonight at Bridgestone Arena before traveling to face the Winnipeg Jets (43-25-4) in an important division match-up. Predators forward Austin Watson has been returned to “available status” after being suspended for violation of his previous stint with the NHL’s Substance Abuse and Behavioral Health program. There is no word if or when he would return to the lineup. The Predators also signed three year-old Asher Collier to a two-day, priceless contract on Monday. He was on hand for the puck drop Tuesday night. The Titans lost out on offensive lineman Josh Kline, who signed with the Minnosta Vikings Wednesday afternoon. Popular grocery store Trader Joe’s will open a second location at the former site of an Office Max off White Bridge Road according to reports, offering a lot more parking than the one in Green Hills. The site was originally slated for a Fresh Market, but those plans were scrapped after being announced in 2016. The food hall at the Fifth + Broadway development, currently under construction with a 2020 open date, announced four new tenants Monday: The Pharmacy Burger (of East Nashville), Prince’s Hot Chicken (of North Nashville), Von Elrod’s (of Germantown) and Donut + Dog (of Hillsboro Village). And finally, a 125 lbs. 1-year-old aardvark named Winsol has arrived to the Nashville Zoo from the Cincinnati Zoo.